As predicted, many people are growing tired of #low-carb diets because, like all diets, they have a low long-term success rate, offer little variety and — well, I guess people miss carbs. But the truth is that you can continue to lose weight, or maintain the weight you lost on your low-carb #diet, if you follow a few simple rules. You’re not going to lose weight as quickly when you go off your low-carb diet, and, in fact, you might actually gain a few pounds at first. “Don’t freak out. When you start #eating healthy carbs, you may gain some water weight, because some of the weight you originally lost was water, especially in the intro stages,” says Samantha Heller, M.S., R.D., senior clinical nutritionist at New York University Medical Center in New York City. How long do you have to give yourself to adjust? “Give it about three to four weeks,” suggests Dawn Jackson, R.D., L.D., of Northwestern Memorial Wellness Institute and a spokeswoman for the American Dietetic Association. One of the biggest mistakes low-carb dieters make is going back to the white stuff. It’s very easy to overindulge in empty-calorie foods, such as cookies, cakes, white bread, potatoes and pasta. “And white carbs are also convenient — too convenient! — available at every turn: in the vending machine, the open box in the pantry, as side orders in restaurants,” explains nutritionist Molly Kimball, M.S., R.D., of the Ochsner Clinic Foundation in New Orleans. Instead, make sure your starchy carbs come from whole grains. “When you reintroduce carbs, the whole grains give you a more consistent release of energy, whereas eating foods with refined white flour or sugar may make you hungry sooner,” says Heller. 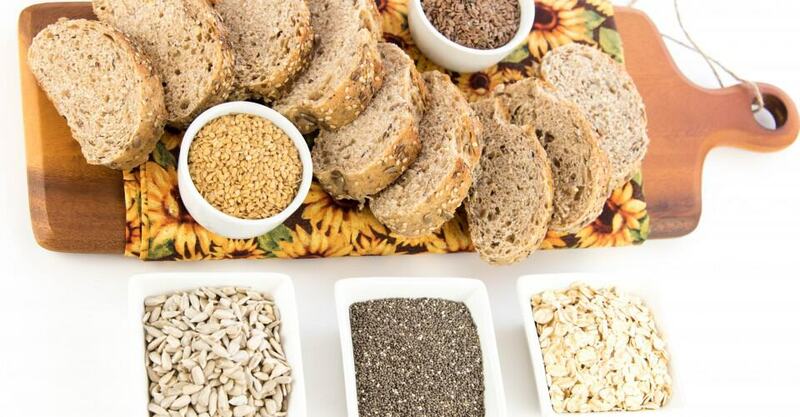 Whole grains have a high fiber content, which means you should feel full longer and get more #food for fewer calories. “Fiber-rich foods are more satisfying and also lower in calories,” adds Jackson. That means, in addition to whole grains, eat plenty of vegetables, which are also packed with fiber. As you start adding carbs back into your diet, you’ll probably need to trim calories from other areas by replacing higher-calorie, high-fat foods with lower-calorie, lower-fat foods you enjoy. For example, switch from full-fat to light salad dressing, regular to light mayo or from regular bacon to turkey bacon. Just because you go off your low-carb diet doesn’t mean you should go out and eat as much as you want of a food that’s #whole grain or considered “healthy.” Even fruit can pile on calories if you eat enough of it — so steer clear of the “free food” mentality. Be cautious — you might have a tendency to overeat all those foods you denied yourself for so long, not to mention that the increase in variety can also lead to overindulgence. And some high-carb foods have a lot of calories in a very small amount, “so even eating a small portion can add up,” says Cynthia Sass, M.P.H., M.A., R.D., author of “Your Diet Is Driving Me Crazy” (Marlowe & Co., 2004). The concept of “net carbs” is history. A food can be very low in carbs and very high in calories. It’s time to start looking at how many calories are actually in the foods you’re eating. And don’t forget to check serving sizes, too. The calories in a single serving might be low, but if you eat the whole bag or package, well, the weight’s going to come right back. One of the biggest advantages of your low-carb diet was eating as much #protein and fat as you wanted. Well, those days are over, but you can still try to find foods that are low in calories but high in volume. In fact, Barbara Rolls, a professor of nutrition at Penn State University, wrote an entire book, “The Volumetrics Weight-Control Plan,” on the topic of eating large volumes of food. All foods have a certain number of calories within a given amount (volume). Some foods, like desserts, have many calories in just a small portion, while others allow you larger portions for fewer calories. In order to feel full and still lose or maintain weight, you’ll need to eat foods that “look large” and fill you up but are low in calories by volume, especially those that are high in water and/or fiber, such as soups, vegetables, fruits and whole grains. You have your entire life to diet, so don’t go cold turkey — try phasing out your low-carb diet gradually, so you don’t jump right back into your old eating habits. “If you were eating three pieces of bacon and three eggs, you might want to cut out a piece of bacon, and add a piece of whole-wheat toast,” recommends Jackson. And remember, not every one of your low-carb foods has to go. Many of them are also low in calories, and if you were already using them to replace higher-calorie foods you had been eating — don’t go backward. Just because you’re off the low-carb diet doesn’t mean you should eliminate all fats. Be sure to include healthy fats like nuts, peanut butter, avocado and olive and canola oils, and limit saturated fats, butter, cheese and whole milk. Portion control is still essential, however, since all fats — even the “good ones” — are high in calories. Protein is still a nutrient that fills you up and keeps you satisfied. In fact, some research has demonstrated that protein can make you feel full longer than other nutrients. Even so, protein contains calories and oftentimes carries fat with it. So keep protein in your diet, but make sure it’s lean — for example, chicken breast without the skin or nonfat dairy products. A low-carb diet can sap you of energy, especially in the beginning. Because carbs boost energy, reducing or eliminating them can make people feel fatigued and less likely to exercise. There’s a good chance that you will have more energy as a result of getting off your low-carb diet. And if you have more energy, you should try to move more.